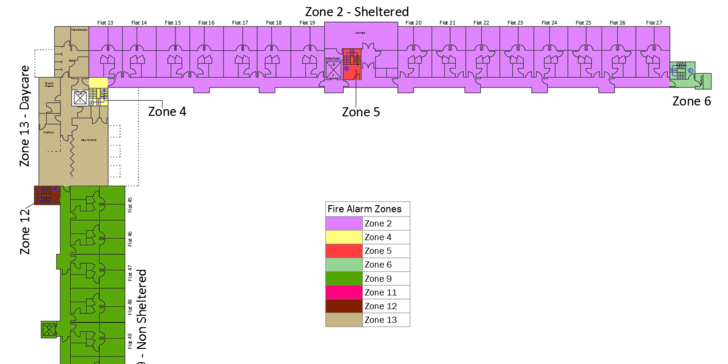 Fire Alarm Zone Drawings We can draw you fire alarm zone drawings and fire alarm system drawings for your. 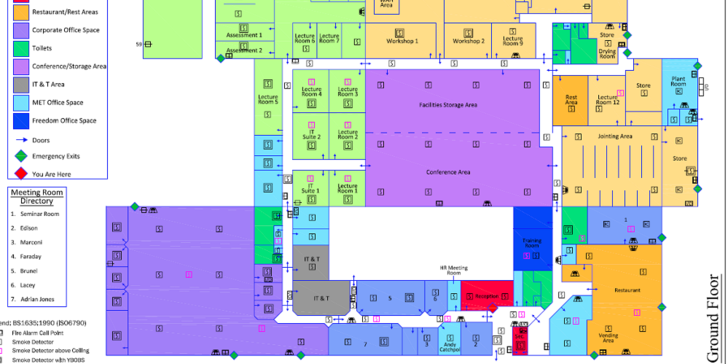 These may comprise of Fire alarm zones, fire protection areas or the fire alarm electrical drawings. Please call us on 01206 890899 for further details. 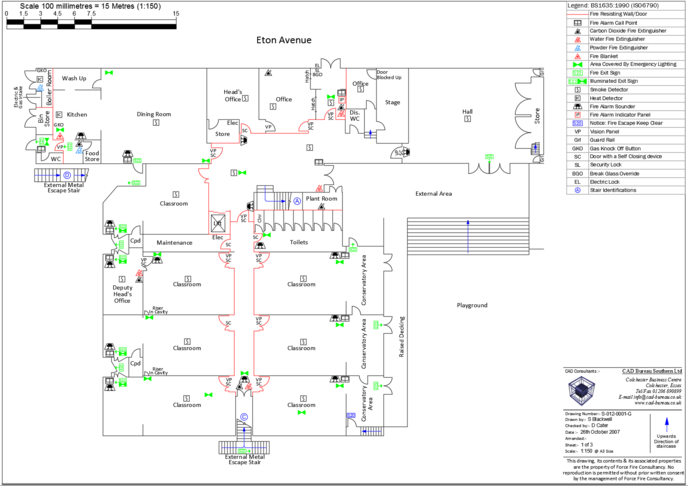 The images below show various drawings for Fire Alarm companies and Fire Alarm Zones. Click on the images to enlarge. General Fire Alarm Record Drawing. 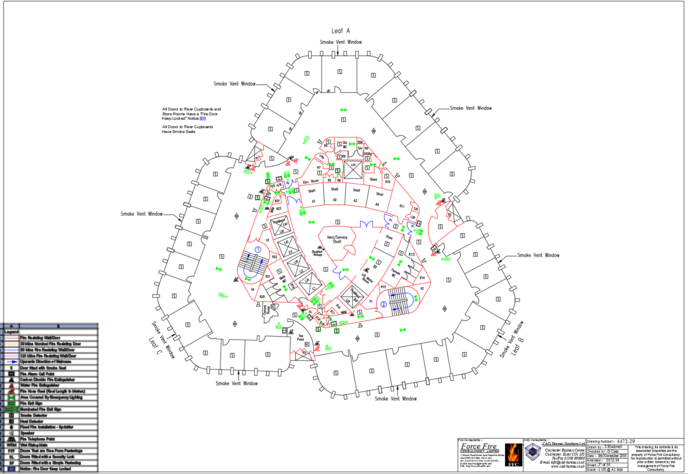 CAD Bureau Southern have been producing Fire Certificate format drawings, fire plan drawings and fire protection drawings to Regional Fire Authority Format Specifications since 1989. Our customers include some of the leading private UK Fire Consultancies and property management companies in the UK. Our drawings recently saved a multi-national finance company 3 days worth of liaising with the London Fire Brigade. 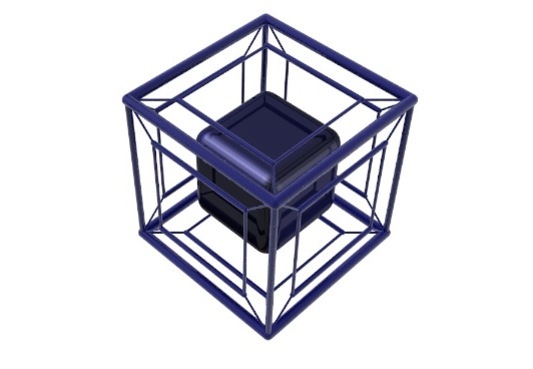 Because we use apprentice trained Draughtsmen/ women and AutoCAD certified professionals, we produce superior quality drawings than those companies that employ software only trained CAD operators and due to over 25 years experience in this specialist area we have the product knowledge to produce drawings quicker and hence cheaper than many in house CAD operators. Before the new regulations our drawings were used for re-certification of Fire Certificates where significant changes to the building warranted re-certification. We have passed many tests from various UK Fire Authorities and have never had a drawing rejected by the authorities. We now produce drawings that will satisfy the Fire Safety Regulatory Reform which came into force in April 2006. 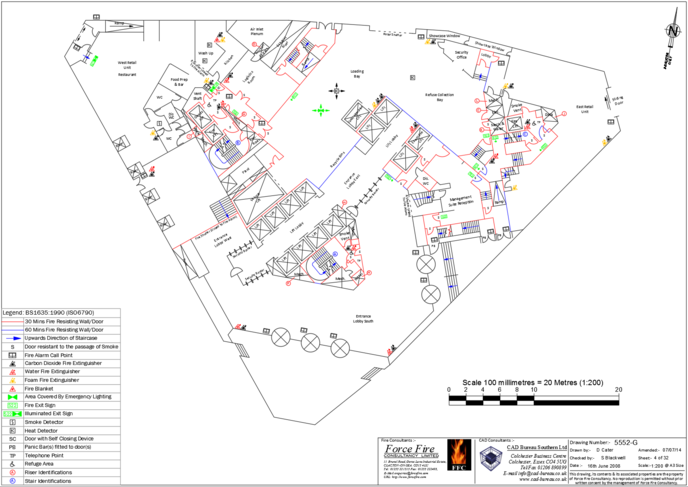 We can review and survey your building if necessary and can also supply drawings to compliment a Fire Risk Assessment Report to highlight areas of risk and to identify fire items that should be maintained on an ongoing basis. Call us on 01206 890899 for more information. Examples of fire safety drawings below, click on an image to enlarge. By law, every company must have an emergency plan. 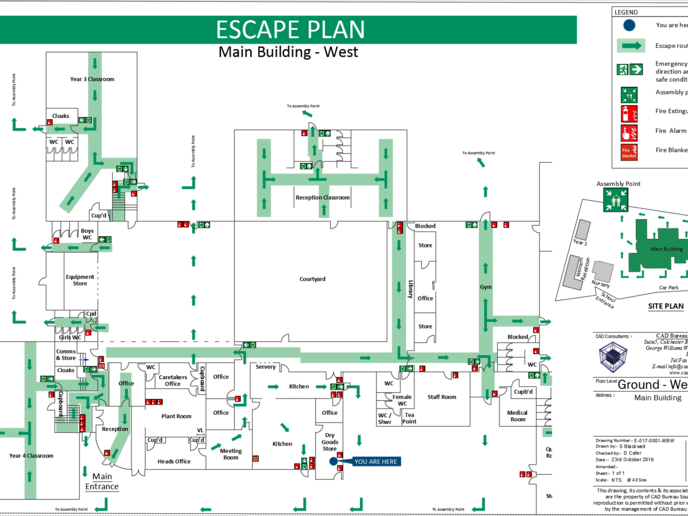 We have been supplying approved emergency escape plans (also known as fire escape diagrams) since 1991 and are now providing these to the BS ISO 23601:2009 (rev 2010). Because of our extremely close links with Fire Inspectors we are able to produce clear, simple concise diagrams, that the Fire Authorities like, very quickly . 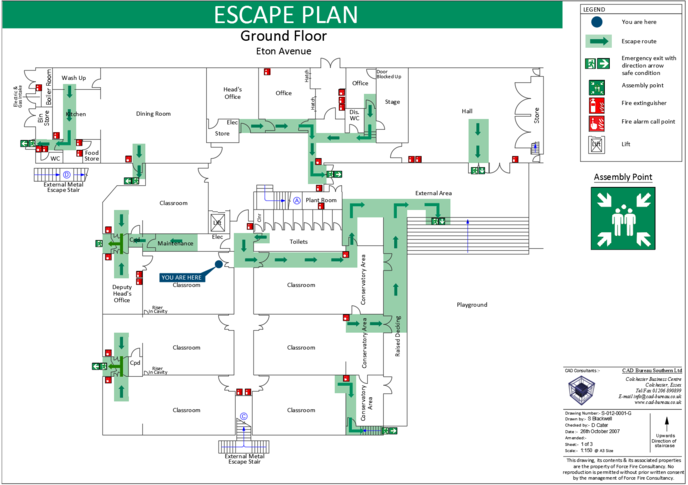 These escape drawings can also be made into signs and framed for mounting within your building. 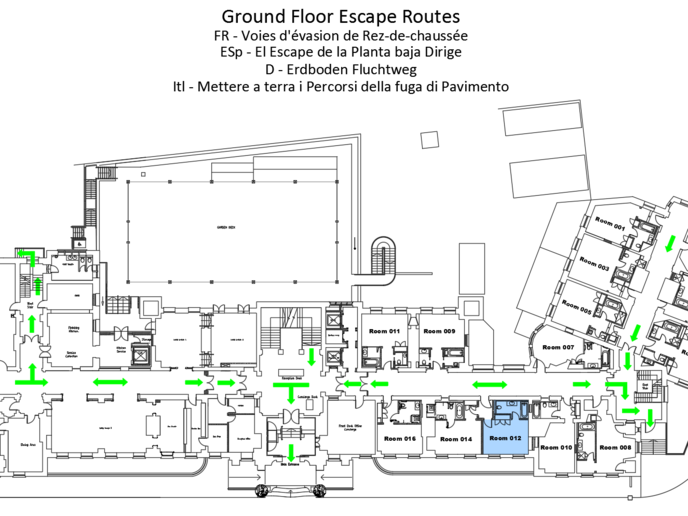 The images below show some examples of some Emergency Escape diagrams, Click on any image to enlarge.